A beer at Love City Brewing. 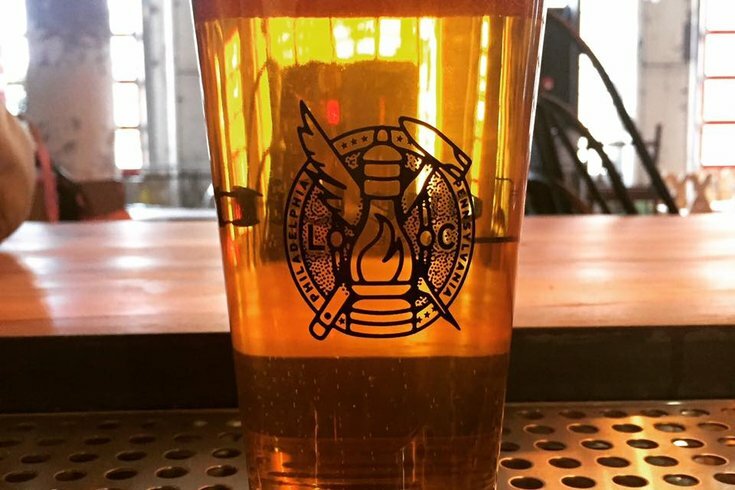 Love City Brewing is adding a little extra incentive to register to vote in the midterm elections (if you needed any extra incentive). The brewery, located at 10th and Hamilton streets in Spring Garden, has a supply of voter registration forms inside its taproom so that you can drink and register, all at the same time. Oh, and you'll get a free 10-ounce beer just for filling it out. The company announced its new initiative on Facebook ahead the Oct. 9 voter registration deadline to register in Pennsylvania, calling for all lovers of beer and democracy to participate. Remember everyone, Election Day is Nov. 6. Love City Brewing is also participating in the opening night of the "To the Polls" exhibit on Wednesday. The pop-up mural event – curated and co-organized by Streets Dept. blogger Conrad Benner and Mural Arts –is all about voting, too. Local Philadelphia muralists (there are 10 of them) have done temporary murals at 448 N. 10th St. in Chinatown North, and they're all about collective action. If you somehow didn't manage to register to vote at Love City already, you can register at the "To the Polls" warehouse exhibit, too. A registration stand will be up for viewers to use throughout the week. The free opening on Wednesday will run from 5 to 8 p.m. with music from DJ Royale and beverages provided by Powers Irish Whiskey and Love City. "To the Polls" will run from Sept. 26 to Oct. 3 and offer voter registration not just during the opening, but throughout the show's run from 12 p.m. to 5 p.m.